Super Seal® is a unique formula that removes the smear layer, seals the tubules and desensitizes in one step. No pumice cleaning or rinsing required. Because of its acidic nature Super Seal® demineralizes the smear layer (both organic and mineral debris) and the peritubular dentin (outermost ring of very hard mineralized dentin of each tubule complex). Reacts with the calcium hydroxyapatite to form a fine granular calcium oxalate precipitate within seconds; both within the dentinal tubules and on the surfaces of the vital dentin, enamel, and cementum. This precipitate is an acid-resistant liner that is biologically and chemically complexed with the underlying substrate of the vital dentin. Dentin, enamel, and cementum of the tooth are each composed of high concentrations of calcium hydroxyapatite, which is alkaline in pH. 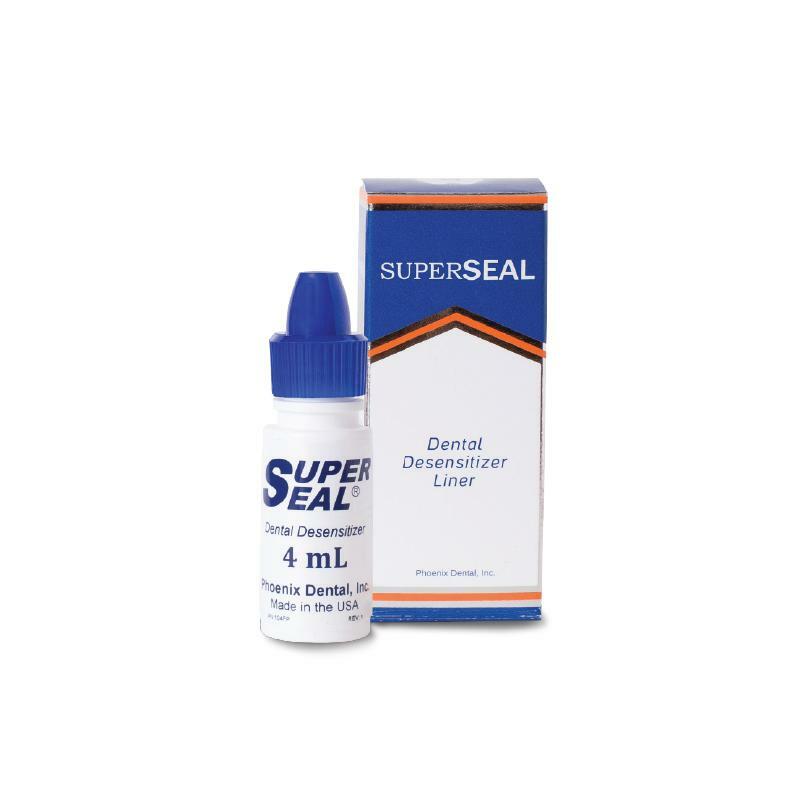 Super Seal® and calcium hydroxyapatite react with each other, leaving a fine granular precipitate within the dentinal tubules at depths of 7-12 microns and on the surfaces of the vital dentin, enamel, and cementum. This precipitate is biologically bound to the vital dentin substrate, leading to a long lasting seal. Being water based, Super Seal® also rewets the substrate to re-establish the collagen for bonding. Super Seal® will not build-up film thickness.